It’s Holly and Rose’s birthday – and they’re having a party at Fitzroy Castle. Not only is there a real castle, there’s a bouncy castle too! But not even this super-duper celebration is safe from the wicked Party Poopers. How will they get rid of these troublemakers while making sure their guests have a good time? With the Little Sparkles, of course! 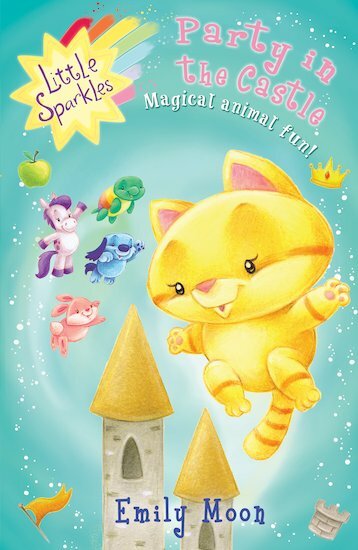 Tikki the kitten, Peppy the puppy, Bubbles the bunny, Princess the pony and Tubbs the turtle are here to lend their helping hooves and paws. This is one party that deserves to be totally perfect – and these magical party animals intend to save the day!